The process of making wine has existed for thousands of years. Although nature provides the ingredients, a winemaker must guide and enhance the process. There are five basic steps in making wine: harvesting, crushing and pressing, fermentation, clarification, aging and bottling. Winemakers can make endless, and often meticulous, modifications in the process, and those variations can result in remarkable wines. The Pacific Northwest is home to many outstanding winemakers, and their wines have the world taking notice. The winemaking process begins with harvesting the grapes. Grapes produce enough sugar to yield sufficient alcohol for wine. Moreover, no other fruit has the requisite acids, esters and tannins to make natural, stable wine on a consistent basis. For this reason, most winemakers acknowledge that, “wine is made in the vineyard.” In order to make fine wine, grapes must be picked at just the right time. The winemaker or vineyard manager carefully watches the fruit and has a crew ready when the decision is made to harvest the grapes. A combination of science and old-fashioned tasting go into determining the optimum time to harvest. Northstar Winery is a sterling example of a vineyard whose perfectly timed harvests lead to superb wines. Founded in 1994, Northstar produces world-class merlots from the Walla Walla and Columbia Valleys. A Washington merlot is bigger and more complex than that of other regions, and this winery showcases those differences brilliantly. Northstar winemaker David “Merf” Merfeld artfully blends other Bordeaux grapes, such as cabernet sauvignon, petit verdot and cabernet franc, with the merlot. He spends a significant amount of time tasting grapes in the vineyards from which Northstar sources its grapes. Variations in the weather and soil composition affect each vintage, sometimes in a dramatic way. For example, unpredictable weather can influence the timing of the harvest. In 2009 Greg Lipsker, co-founder of Barrister Winery in Spokane, found himself in a vineyard near Pasco just after midnight, rescuing the grapes from freezing weather. Even so, the 2009 vintage ended up being an award-winning year for Barrister. All wine is influenced by terroir, a French term that refers to the total natural environment in which a wine is produced—the climate, soil, and topography. Among other things, it is terroir that gives a wine its characteristic taste and flavor. A winemaker must understand the region where the grapes are sourced and how its characteristics affect the winemaking process. Spring Valley Vineyard winemaker Serge Leville learned winemaking in his native France, but learned how to make Washington wine in Walla Walla. He capitalizes on the region’s unique terrior and responds to its nuances with his winemaking techniques. Harvesting can be done mechanically or by hand. Many estates prefer to hand harvest, as mechanical harvesters can often be too hard on the grapes and the vineyard. Once the grape bunches arrive at the winery, winemakers sort them, culling out under ripe and spoiled fruit before crushing. There’s an advantage to wineries that grow their own grapes or obtain them from vineyards closeby. At Coeur d’Alene Cellars, for example, the fruit is hand harvested in the morning and hand sorted to fermentation tanks before the sun sets. Crushing whole clusters of ripe grapes is traditionally the next step in the winemaking process. Today, mechanical crushers have replaced the time-honored tradition of stomping grapes into what is referred to as must. using mechanical presses may detract from the romance and ritual of this stage of winemaking, but it is more efficient and sanitary. Mechanical pressing has improved the quality and longevity of wine, thus reducing the need for preservatives. Tradition, however, has not been abandoned completely: many wineries, such as Nodland Cellars in Spokane Valley, host crush parties at which guests can experience firsthand the stomping of grapes. Not all grapes, though, are crushed at the beginning. Sometimes, winemakers prefer that fermentation begin inside uncrushed whole grape clusters. This allows the natural weight of the grapes and the onset of fermentation to burst the grape skins prior to the pressing. Prior to the crushing and pressing stage, the making of white wine and red wine is essentially the same. At this point, however, red wine is left in contact with the skins to add color, flavor and tannins during fermentation. Tannins are responsible for the “mouthfeel,” the sensation of a red wine in the mouth. In contrast, winemakers who are making white wine quickly press the must after crushing. This separates the juice from the skins, seeds, and solids. By doing so, they avoid the unwanted color from the grape skins. In addition, the tannins cannot affect the wine. Fermentation is when the magic happens. If left to its own devices, the must, with the aid of wild yeasts in the air, begins fermenting naturally within 6-12 hours. In clean wineries and vineyards, this natural fermentation is a welcome phenomenon. Many winemakers prefer to intervene at this stage by inoculating the natural must. They kill the wild and sometimes unpredictable natural yeasts. They then introduce a yeast strain of their choosing in order to influence the outcome. Once the process begin, regardless of whether it is natural or assisted, it normally continues until all of the sugar is converted to alcohol and a dry wine is produced. Fermentation can require from ten days to a month or more. The alcohol level in wines depends on the total sugar content. 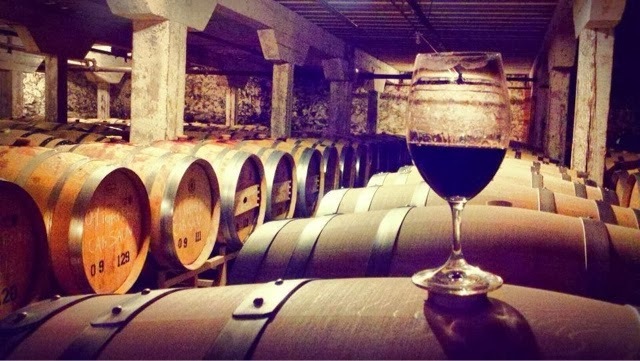 Sweet wine is produced when the fermentation process stops before all of the sugar has been converted into alcohol. Whether a winemaker’s experience comes from formal education, mentorship, or simply trial and error, understanding how to manipulate the fermentation process is critical to the end result. Once fermentation is completed, the clarification process begins. Winemakers have the option of racking or siphoning their wines from one tank or barrel to another. The goal is to leave the precipitates and solids, called pomace, in the bottom of the first tank. Filtering and fining may also be done at this stage. Fining occurs when substances are added to a wine. Egg whites, clay or other compounds may be added: they adhere to the unwanted solids and force them to the bottom of the tank. The clarified wine is then racked into another vessel, where it is ready for bottling or further aging. The final stage of the wine making is aging and bottling. After clarification, the winemaker has the choice of bottling a wine immediately or aging it further. Aging can be done in bottles, barrels, stainless steel tanks or ceramic tanks. As with all other decisions in the winemaking process, the choices and techniques employed in this final stage affect the outcome. From the vine to the wine bottle, any variations in the winemaking process influence the wine. Winemakers differ in their perspective and approach to crafting the perfect taste. Michael Haig of Whitestone Winery in Creston believes that great wine comes from great fruit and that it’s the winemaker’s job to showcase the gifts from Mother Nature. Karen LaBonte, owner/winemaker of Walla Walla’s Trio Vintners claims her wines benefit from three principal features of eastern Washington wine- production: exceptional fruit, outstanding soils, and the perfect climate for growing grapes. Long Shadows is a winery—actually a group of wineries under one label—that brings together superstar winemakers from around the world to make wine from Washington fruit. The gathering place of this winemaking dream team is in the valley where the Snake River and Yakima River flow into the mighty Columbia River. The wines they produce are as diverse as the winemakers themselves and their range of methodologies and winemaking techniques. 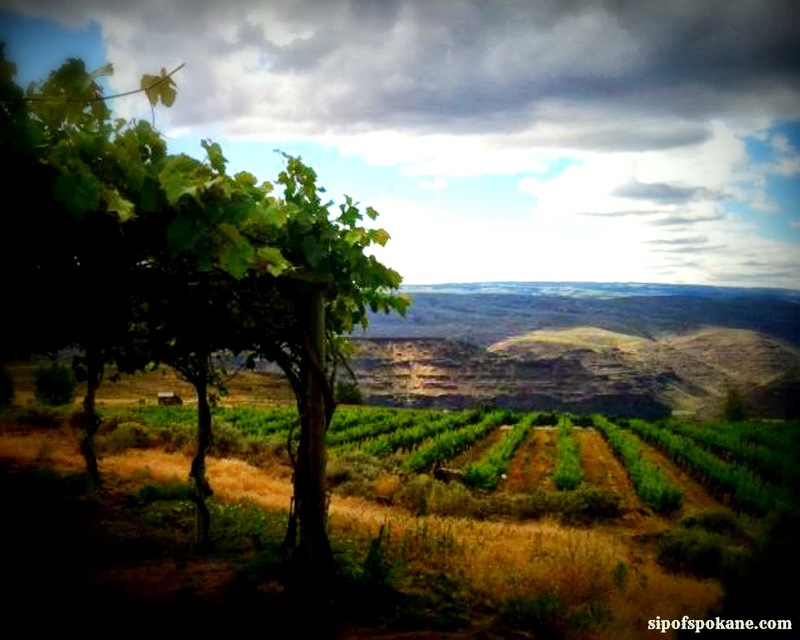 Whatever the source of the magic, the Spokane, Walla Walla and Coeur d’Alene region offers the perfect setting for creating exceptional wines.